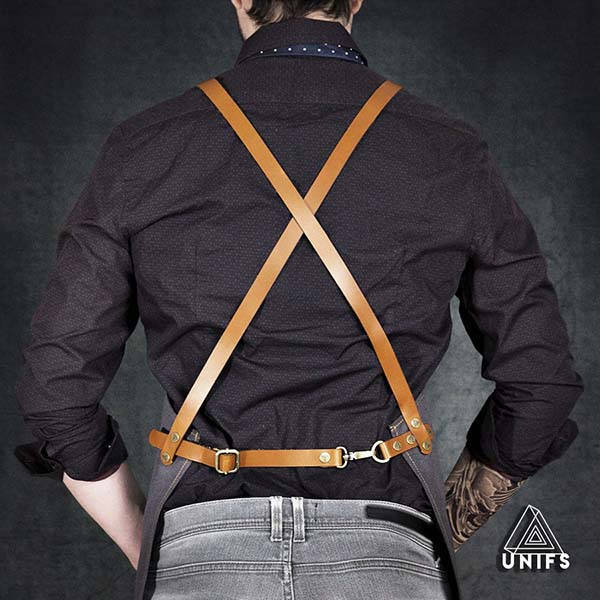 Unifs handmade work apron is designed to enhance your productivity with multiple integrated pockets and loops, and personalized option makes it one-pf-a-kind for every user. 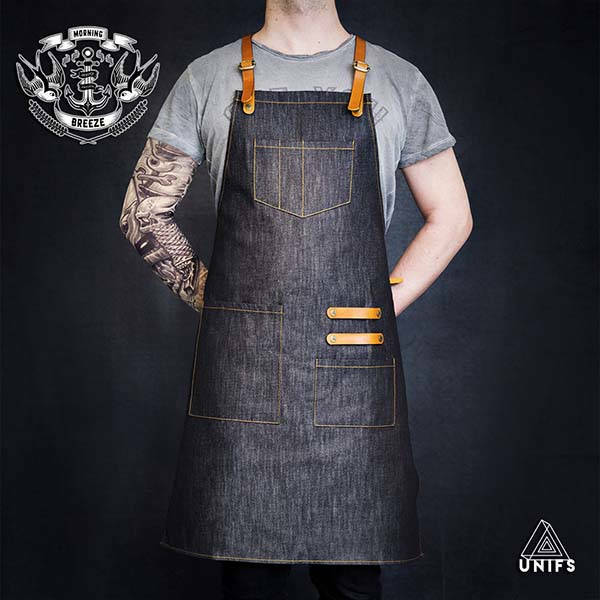 This is a well-crafted and versatile work apron handmade by UnifsApronsTabliers, a handicraft studio from Paris. The apron is available in three sizes to fit for every user so you can also contact the studio for a custom size. As shown in the images, the apron features sleek and rugged design, and the genuine leather straps and metallic hardware bring more classic aesthetics to the apron. Meanwhile, the apron is built with 12oz thickness fabric canvas or denim made from 100% cotton for a lightweight, durable and breathable construction. With three optional sizes and adjustable straps, the work apron always delivers a custom fit for every user. Meanwhile, using three integrated pockets and two leather loops, the apron keeps your tools easy to access for enhanced productivity. Of course, it also works as a kitchen apron to bring more convenience when you cook. Moreover, it’s customizable by adding your name or logo using sewing. The handmade personalized work apron starts from $66.22 USD. If you’re interested, jump to Etsy for its more details.